On Sunday, August 11, the Teen Choice Awards named Nina Dobrev ("Vampire Diaries") Choice TV Actress - Fantasy/Sci-Fi, Demi Lavato Choice Female Artist and Gabby Douglas Choice Athlete - Female, just to name a few. 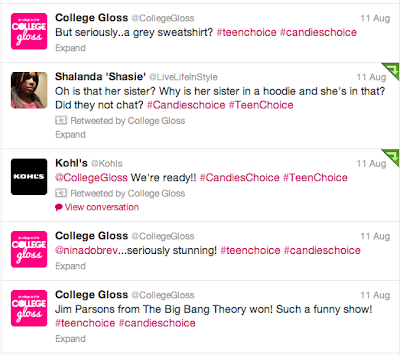 During the show, CG live-tweeted with other bloggers for one of the award show's sponsors - Candie's Brand at Kohl's. 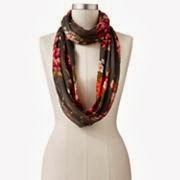 In a prize pack from Candie's Brand and Kohl's, we received a Candie's Brand floral infinity scarf (Charcoal), pink lip gloss (Cherry Bomb), pink nail polish (Oh-My-Melon) and pearl necklace set and a $25 gift card to Kohl's to spend on more Candie's products. We chose to redeem our gift card before the award's show at a Kohl's store in Papillion, Neb., for a Candie's Brand black lace top and glitter makeup, wristlet and iPhone case gift set. 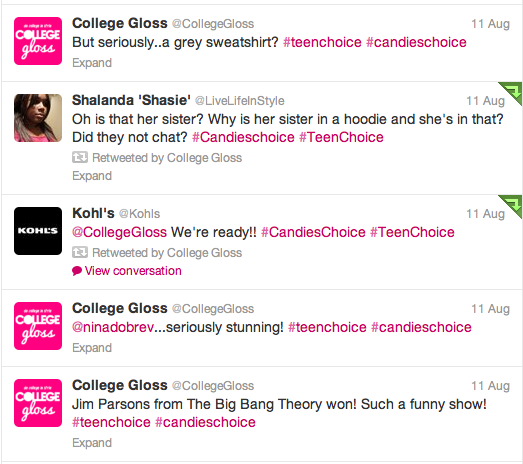 We had a great experience shopping at Kohl's for Candie's Brand products. The selection was awesome -- from blazers and backpacks to phone cases and perfume. Candie's clothing items are perfect for all students, those with internships to those just trying to make a statement on campus. 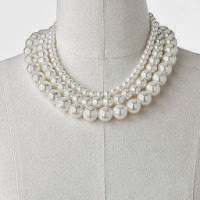 With professional yet fun pieces at affordable prices, you have nothing to lose! Better yet, you can pair your blazer and slacks (or whatever internship-ready outfit you choose) with a pearl necklace (what's classier than pearls? ), stylish bag and a spritz of Candie's perfume. 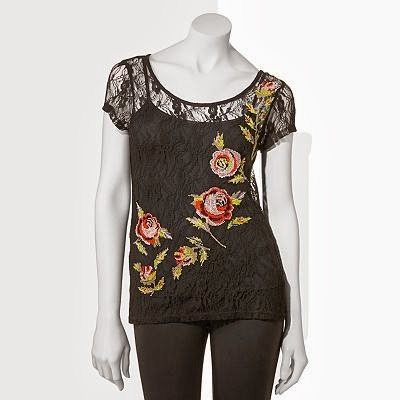 And you can find all of these items in one store -- Kohl's! The next time you want to spruce up your wardrobe or find a new sassy nail color to sport, find your local Kohl's store or shop online!